Are you bored with same old stock ROM of Yu Yureka and you want to update your Yu Yureka to cyanogenmod 13 marshmallow version .Then you at the right place.Today in this guide we will teach you how to install cyanogenmod 13 on Yu Yureka.so lets start our guide on updating Yu Yureka to cyanogenmod 13. Cyanogenmod is a software developing System For smartphone. They have released custom ROM for each and every smartphone. CyanogenMod basically uses Unix-like Os system. Cyanogenmod recently launched there Cyanogen 13 which is based on Marshmallow. Yu Yureka was the first smartphone from Yu company which is a sister brand of micromax. Yu only manufacture premium smartphone. 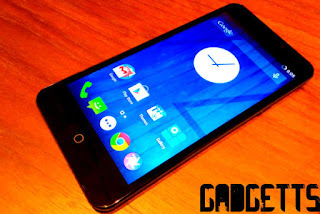 Yu Yureka was launched in the end of 2014. Before updating Yu Yureka to cyanogenMod lets have a look at its specification. Yu Yureka was considered as flagship device of 2015 because of the hardware used in Yu Yureka. Yu Yureka comes with a Qual comm Snapdragon which makes it completely Lag free and Yu Yureka also uses a 1.7 Quad core processor and a Adreno GPU for games lover. Yu Yureka comes with a 5.5 inch IPS LCD screen. Yu Yureka is very easy to hold due to its design . Yu Yureka also give you 720x1280 screen resolution and 267 pixel density. Yu Yureka also support multi touch and its touch screen is protected by corning gorilla glass 3. Yu Yureka also uses 5Mp secondary camera for awesome selfie experience. Yu Yureka is packed with 2Gb RAM inside and Yu Yureka comes with 16Gb internal memory. Yu Yureka uses a 2500 mah battery which feature like fast charging. CyanogenMod has a unique way of naming smartphone and they always come up with some creative name of smartphone. Yu Yureka has been named "tomato". So lets teach you how to install cyanogen 13 On Yu Yureka. Charge your Yu Yureka to 100%. Make backup of all the devices. Now boot your Yu Yureka to CWM mode. Installation of cyanogenMod 13 on Yu Yureka will take some time. Thats it!! you have successfully installed CyanogenMod 13 On your Yu Yureka. So we hope you liked our post on updating Yu Yureka to CyanogenMod 13.